Steve H. Hornstein has worked in the areas of accounting, tax, financial strategy, and estate planning since 1996, when Mr. Hornstein joined the accounting firm of Deloitte & Touche, LLP in their Financial Counseling Services Group. While at Deloitte, Mr. Hornstein worked in their offices throughout Southern California, on behalf of many business and individual high profile and high net worth clients. In 2000, Mr. Hornstein left Deloitte for a position as Controller of an internet consulting firm in Los Angeles, CA, guiding the company through its sale to a venture capital firm in 2004. Mr. Hornstein opened his law and accounting office in Woodland Hills in 2002. Mr. Hornstein holds a B.A. in Economics-Business from UCLA, a J.D. from Loyola Law School, and an LL.M. in taxation law from Golden Gate University. Mr. Hornstein is a Certified Public Accountant, and a licensed attorney, having been admitted to the California Bar in 1996. He is Series 7, 63, and 66 licensed with LPL Financial, as well as insurance licensed by the California Department of Insurance, and is a Certified Financial Planner? certificant. [CFP(TM) and Certified Financial Planner(TM) are registered trademarks of the Certified Financial Planner Board of Standards.]. The San Fernando Valley’s fashionable front door for real-life, luxury, and influencer designer brands—Westfield Topanga and The Village combine to provide a single destination experience unlike any other. For pure power shopping bliss in a cool and elegant indoor escape, there is Westfield Topanga’s one-of-a-kind lineup comprising best- in-class luxury and brands, whereas The Village provides the open-air social setting so long craved by Valley residents. Under a green canopy of sycamores, olive trees and native California plants, The Village’s abundant open space and walkable pathways reveal trendy, “street” retail brands and al fresco restaurants perfect for dining under the stars. 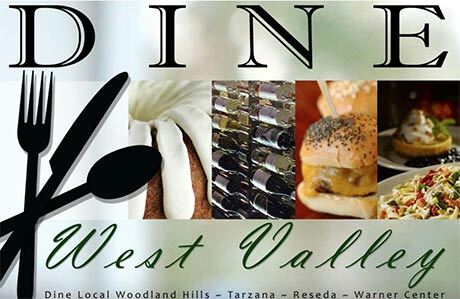 Located in the booming Warner Center district at the highest traffic intersection in the Valley, Westfield Topanga and The Village encompass more than 360 shops, restaurants, and personal service providers across 2.1 million square feet of retail space. The 570 thousand square foot Village is a dynamic community getaway and gathering place; an enticing mixed-use retail, restaurant and recreational hub. It’s the central jewel in the Westfield crown – a tree-lined, open-air and pedestrian-friendly mall linked by trollies to the adjacent Westfield Topanga. With greater aesthetic appeal and packed with entertainment value, The Village at Westfield Topanga is the new place to eat, shop and play. Learn more at www.westfield.com/topanga. The Hilton Woodland Hills/Los Angeles offers modern amenities in the warm, Southern-California climate and is located near Los Angeles attractions including Universal Studios, The Getty Center, Malibu Beach and Hollywood. Our 326 guestrooms are the largest in the area and include wireless internet access, 37� LCD HDTV�s, and Hilton�s Serenity bedding collection. Our Brasserie Restaurant and Fitzgerald Lounge offer great takes on California cuisine. The hotel is also walking distance to many fine restaurants, premier shopping and entertainment.